The Table 80 by Artek was designed in the 1930s by Alvar Aalto and convinces to this day with its simple and timeless design, as well as with its bent L-shaped legs. 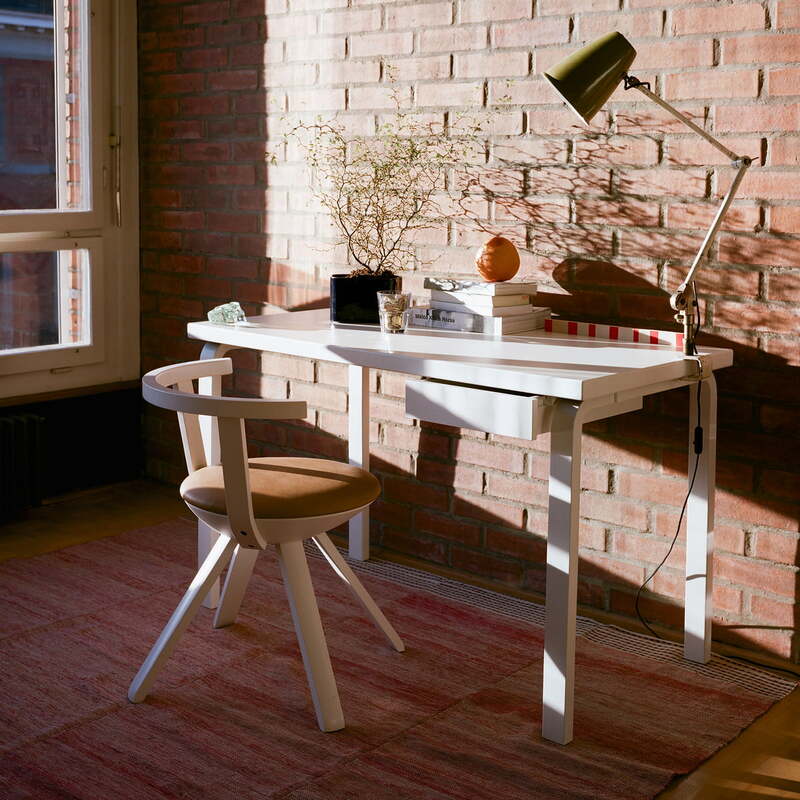 The table is ideal in the dining room or as a desk in the study. 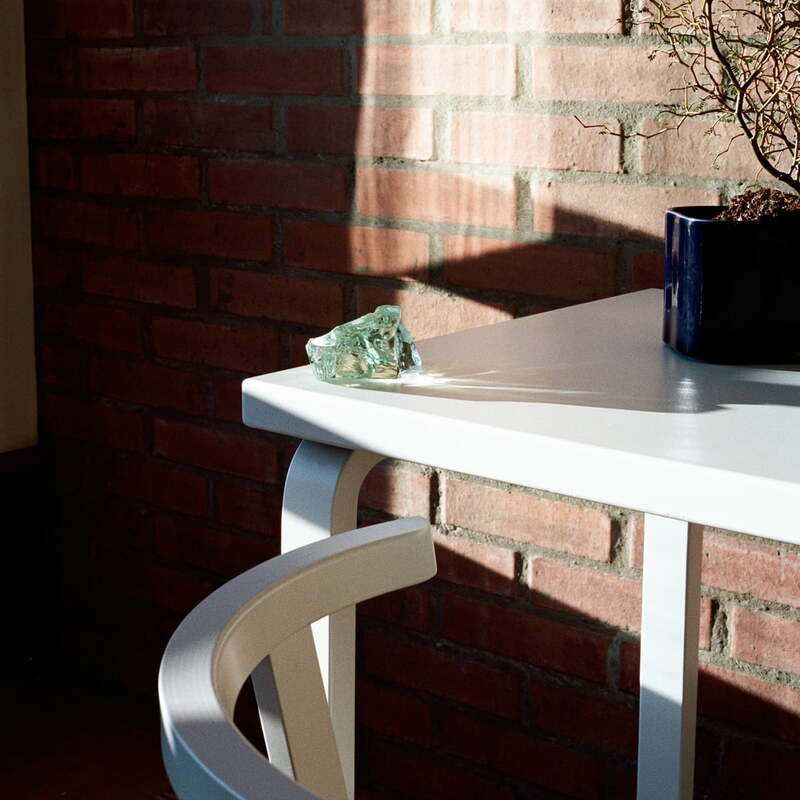 At the end of the 1920s, the Finnish architect Alvar Aalto began experimenting with the deformation of wood. The development of a bent L-shaped solid wood leg played a crucial role. Aalto called the L-leg the "little sister of the architectural column" and indeed, it takes on a similar load-bearing function: different horizontal surfaces can be fixed and supported by these vertical elements. This resulted in dynamic pieces of furniture, that brought a Scandinavian flair to public as well as private spaces. All pieces from the L-leg collection are made from Finnish birchwood and subsequently processed semi-industrially according to strict quality criteria and a high level of craftsmanship. While the bent wooden legs are painted, the surface of the 4 cm thick tabletop is either laminated or veneered. The table is available in two sizes with the tabletop from the 80A model measuring 120 x 60 cm and the 80B model 100 x 60 cm. 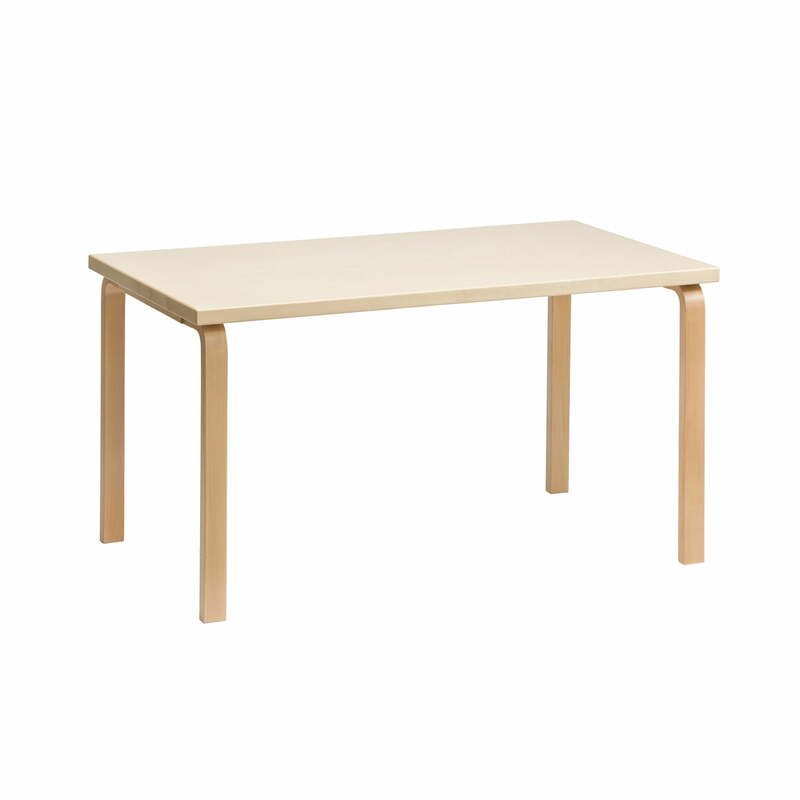 Isolated product image of 80B Table with the dimensions 100 x 60 cm by Artek in birch. Both the frame with L-shaped legs and the tabletop are made of aluminium. Lifestyle product image: In addition to some other tables that Alvar Aalto designed to match the chairs in the Viipuri library, Table 81B also emerged in 1935. Lifestyle product image of the 80A + 80B Tables by Artek: While the bent wooden legs are painted, the surface of the 4 cm thick tabletop is either laminated or veneered. 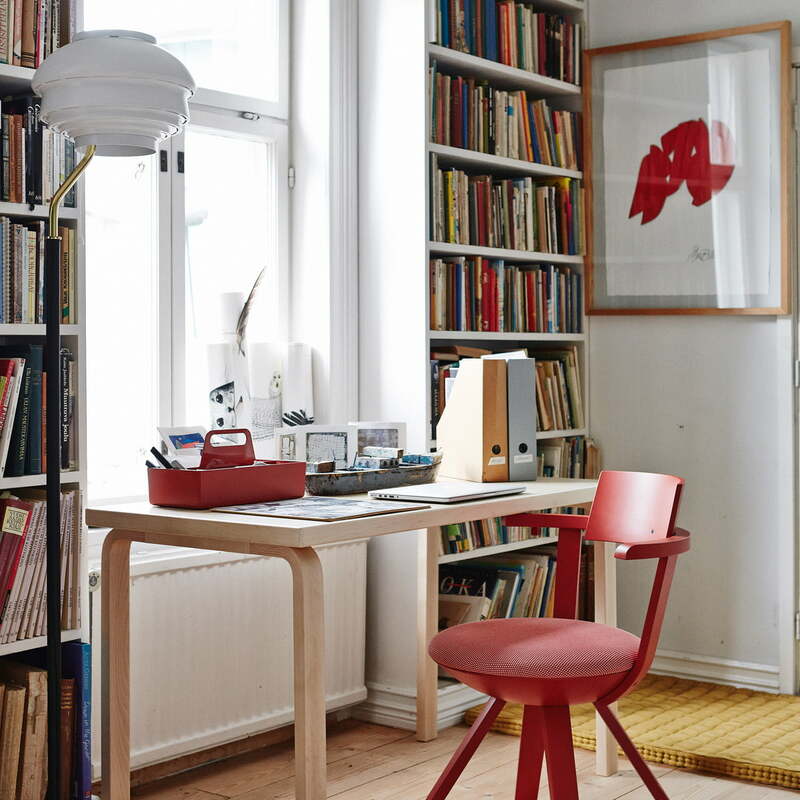 Artek - 80A + 80B table: Aalto calls the L-leg the "little sister of the architectural column" and indeed it takes over a similar load-bearing function.